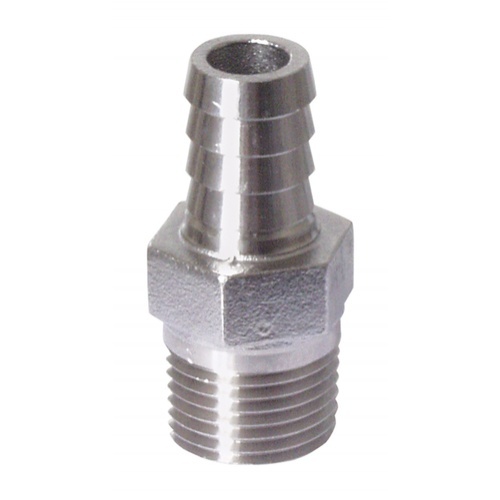 This is a Stainless Steel Adapter fitting. 1/2 in. MPT x 1/2" Barb. Please Note: The barb on this unit is slightly undersized (0.51 in. OD). It will still function with 1/2 in. tubing, but will require a hose clamp (as is generally recommended! ).